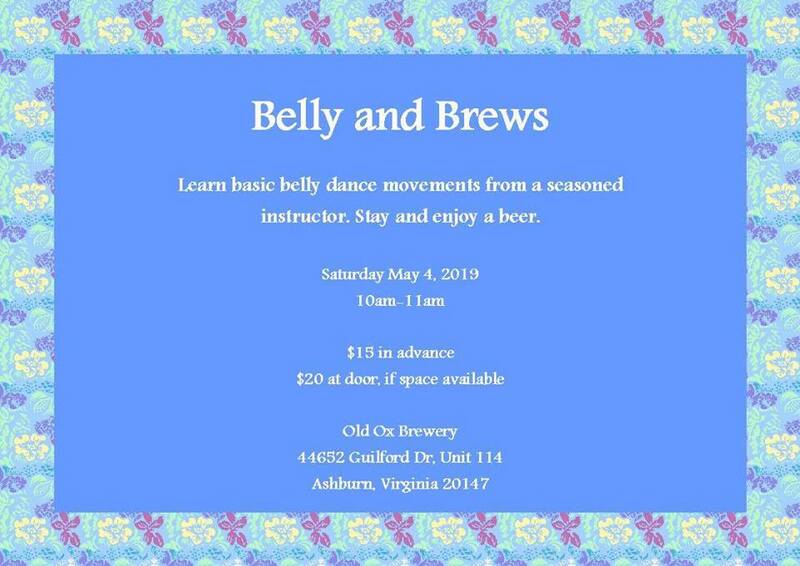 Come experience the joy of belly dance! In this fun filled hour, participants will learn basic movements and how they come together to make a mini choreography. No experience required! Low impact. Participants must be 21+. Participants are encouraged to wear exercise clothing, such as yoga pants and a close-fitting top. Coin hip scarves are available first come first serve to borrow! About the Instructor: Raquelle has been performing and studying belly Dance since 2006. Currently she is an instructor at the Mosaique Collaborative in Sterling, VA. She loves introducing new students to the joys of belly dance! Make a day of it! Old Ox will be open and will be hosting a food truck starting at 11am. Cost of the class does not include any beverage or food purchases.